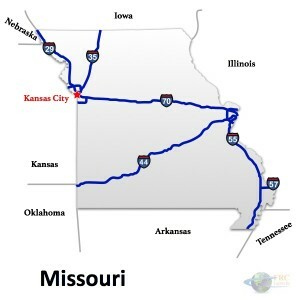 Missouri Freight Rate Central provides shipping logistics to companies that need to move freight within Missouri, interstate and throughout the US. Try one of our free instant online freight quotes right now and see the savings our advanced logistics system can provide. 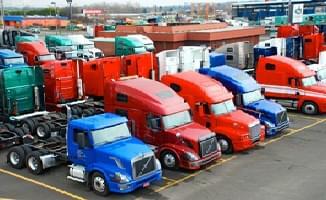 We can give you an estimate for a full truckload, or less than a truckload shipment. Below, you’ll find information and links that are relevant to Missouri freight trucking and freight shipping services. 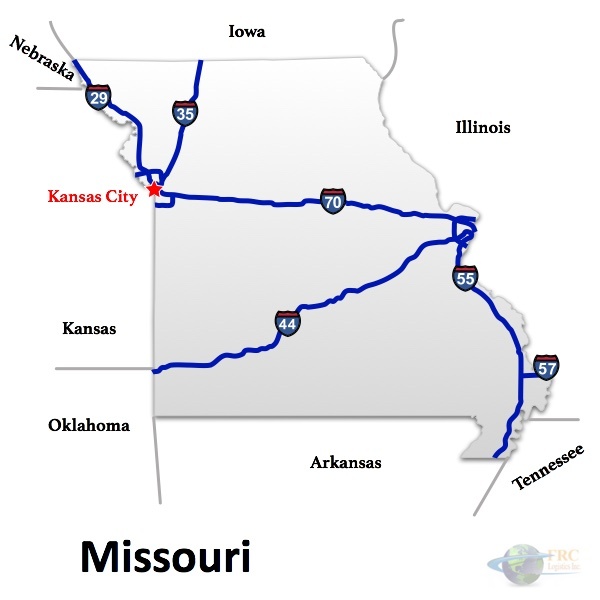 Missouri is a state located in the Midwestern United States, Missouri is known as the “show me state” and also played an important role in westward expansion of the United States, as The Pony Express, California trail, Oregon Trail, and Santa Fe Trail all started in Missouri. Residing in St. Louis is the Gateway Arch, the Arch which stand over 600 feet tall is the tallest man made monument in the western hemisphere, Missouri is also home to the Lake of the Ozarks, a popular tourist attraction. In 2004, following a decision to make roads safer in Missouri, an amendment was passed and a program called the Smoother, Safer, Sooner road-building. The goal of this program was to convert 2,200 miles of highways in the state up to good condition, the program was to be completed by 2007. Following this initiative the annual number of traffic deaths in the state have been steadily decreasing from over 1200 deaths in the year 2006 to just over 800 highway deaths in 2010. Missouri generates most of the states economy from the industrial sector. Mining is a large industry for the state, the state has large quantities of limestone, making it one of the leading materials mined. Some of the other materials that are mined in the state are crushed stone, coal and lead, in fact, Missouri is the leading producer of lead in the United States. Some of Missouri’s other major industries include: transportation equipment, aerospace, chemicals, food processing, and electrical equipment just to name a few. Aside from the industrial side of the economy Missouri is also ranked in the top 10 in the United States for hogs and cattle, also the state is ranked in the top five in the production of soy beans in the nation, also in the United States Missouri is ranked number four for the production of rice. Missouri is also home to one of the largest biotech companies in the United States called Monsanto, which resides in St. Louis. 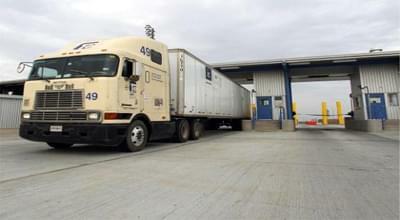 Since Missouri rests in the midwestern region of the United States, highways and freight trucking traffic frequently cross through Missouri when traveling coast to coast. One of the main highways running through the state is the Interstate 70, which enters the west side of the state coming from Kansas before exiting through the Eastern end of the state into Illinois, just before entering into Illinois the I-70 travels into St. Louis where several other interstates converge. The Interstate 44 runs across Missouri from Oklahoma before also meeting in St. Louis. The I-55 travels from St. Louis south before turning into the I-57 and continuing south into Arkansas.